Now-a-days Many smartphone companies are trying different ways to make a complete baseless display in where there should not be a notch or any pop ups mechanism. A few days ago Samsung had brought 3 new display and one of them is with an infinite O display. In that display there is a hole to top left corner of the phone. Which make this phone completely different and futuristic. But now it seems that not only Samsung the other company also wants to bring phone with this new concepts. 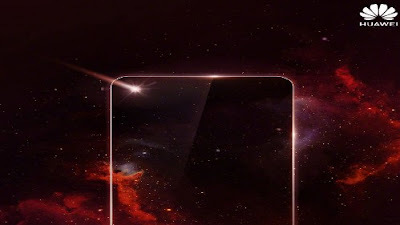 As per the reports, just a few days ago the Huawei company has released a poster which showed the Nova 4 to come with Infinite O like display . In the poster we can see the device with a hole punched into the top leftest corner on the display. And as per the reports it shows that the hole is contains the front facing camera. The image is also show that the phone has high screen to body ratio with very thin bezels. 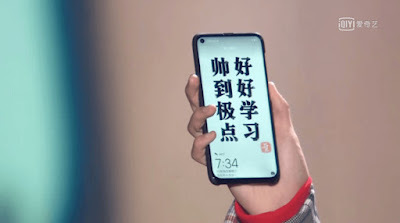 The new Huawei Nova 4 features 6.4 inch (16.26 cm) infinity-o display with a screen resolution of 1440×2880 pixels. Nova 4 is powered by octacore kirin 980 Soc processor and runs android Oreo 8.1 operating system paired with 6 GB RAM and 128 GB internal storage which can be expandable up to 256 GB. Moving about the camera department it has a dual camera on the back with 16+16 Megapixel and in the front it has a huge 24 megapixel of selfie camera. As far as the battery is concerned it has 4000 mAh . The phone also got a Mali-G76 MP10 GPU for graphical performance that can make games run smoothly. Other sensors include light sensors, proximity sensor, accelerometer, Gyroscope, barometer, compass etc. The price of this mobile in India approx. Rs. 38,990 and it will be available with black coloured in 17 December. Before the release of Samsung A8s the Huwaei Nova 4 launches it and as i am a huawei lover, just because of the quality he provides in such a low range budget that everyone can purchase the set to enjoy the same features given by other companies.